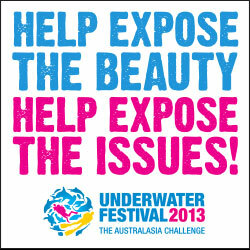 Want to promote the Underwater Festival? 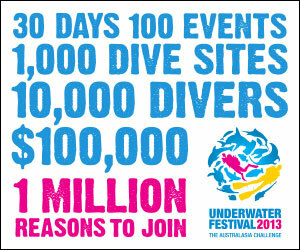 Below are some versions of the UF13 logo, posters (coming soon) and web banners as well as the promo video clip (new one coming soon). 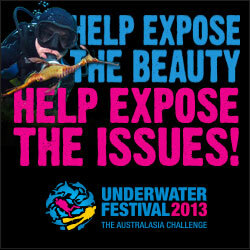 If you prefer us to send you a printed poster, no problem as long as you put it up - request the poster(s) on our contact form. 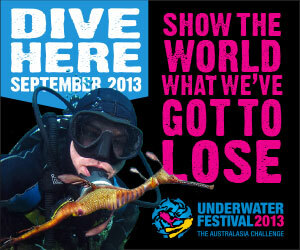 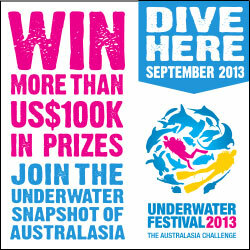 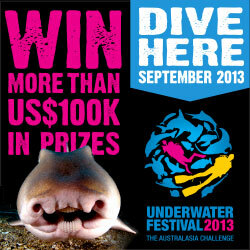 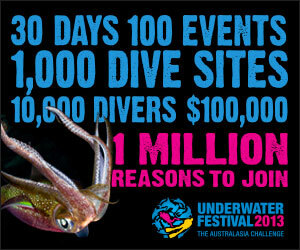 The Underwater Festival 2013 - Where will YOU dive? 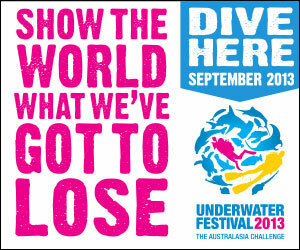 from Tim Hochgrebe on Vimeo.